Our adorable hand-painted Christmas Clothespins are super cute and versatile, too! Use them as ornaments (they clip right onto a tree branch), as decorative accents (to hang photos or your holiday cards along a string, for example), or for any number of Christmas craft projects...the possibilities are endless! 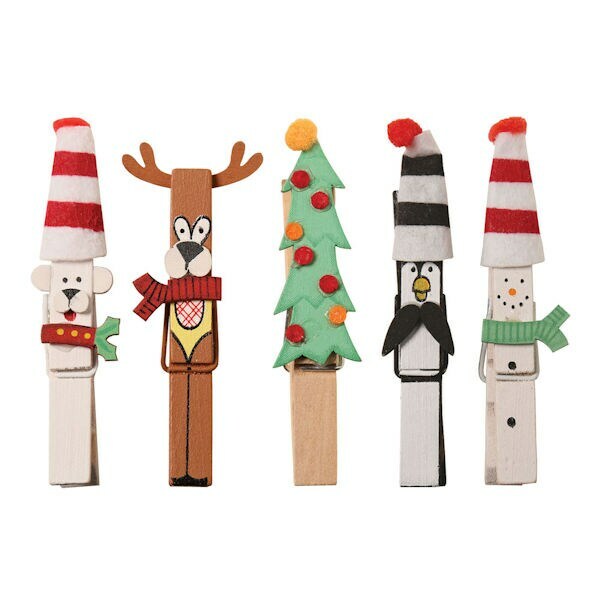 You may want to keep several sets of the 3½"-tall doodads on hand for little last-minute gifts.